Variety is the word which best describes bespoke products. These are designed to complement the appearance of your kitchen, bathroom, living room and home office. Each bespoke piece of furniture in your home reflects your taste when blended with its environment. Any product made from Bespoke and placed in your living room shows your unique creativity and a sense of ownership. But again you need a craftsman with an experience in manufacturing Bespoke products and a budget to bring out the design and shape of your intended product. In furniture that has been produced en mass, there is usually limitation in size, style and colour. But with Bespoke products, the choices are unlimited. Your final product will be a unique creation made specifically for your needs and tastes. Products such as bespoke furniture items are built to last for a long time although be sure to give the manufacturing of your product time since bespoke products are handcrafted and made precise to your needs. Products made from bespoke are a bit expensive when compared to mass-produced products, but their quality justifies their high price. Remember bespoke products pass through stages before the final product. These include advising the customer, designing, purchasing of the materials, creating of the product, and the installation. Bespoke products are made to last for a long time. The personalisation of bespoke furniture products is what appeals to many of our clients. In the production of these bespoke products, there is no room for compromises on design aspects. The products are made exactly to match your specifications. Also, if the space that you have is small, you have a reason to smile since Bespoke products technology addresses even the most awkward corners of your house. There is a lot of art involved in the production of bespoke products. You will need expert advice when deciding on the specifications of your furniture. Bespoke products allow whole floor to be used. There are no gaps left. You can hide indented walls and sloping ceilings. Bespoke products are also enriched with lights that are concealed, and for the walls and ceiling, you can make a choice of the lights to use. 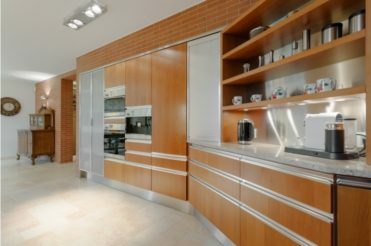 With bespoke furniture products, you can never go wrong and if you have never given it a try, this is the time for you to sample its uniqueness. To find out how AD Woodcraft can help with your bespoke furniture needs in and around Dublin, give our experienced team of highly skilled craftsmen a call on 00 353 85 127 0371 or send an email enquiry to info@adwoodcraft.com.